It’s been a really busy time as usual for me and the team in the run up to Christmas. Last friday, three eminent fellows of the Institution of Civil Engineers (OGGS is the headquarters building of the ICE) collected their CBEs from HRH The Prince of Wales at Buckingham Palace. 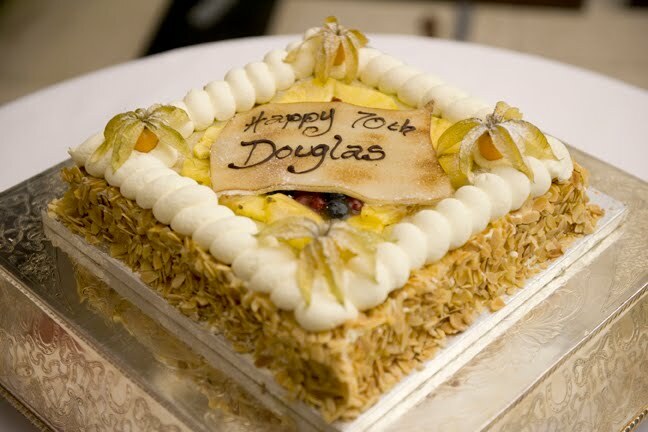 This momentous occasion happened to coincide with the 70th birthday of Douglas Oakervee (ICE President 2003). 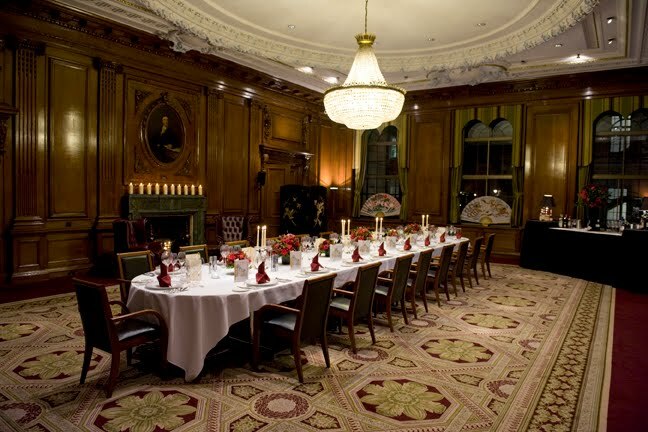 Douglas’s celebrations culminated in a lavish, 7-course themed, fine dining dinner here at One Great George Street. Doug was very well respected by those of us that were around in the team during the time of his presidency. He is fondly remembered for his approachable nature, ‘down to earth’ manner and close links with OGGS due to his time as a non-executive Director on the board of Thomas Telford Limited (TTL is the commercial arm of the Institution of which OGGS is a part). Naturally, this was one event that we particularly wanted to go well! Myself, Shelley (Fine dining/themed events specialist) and David Wilkinson (Exec Chef) planned every detail with Mrs Oakervee. 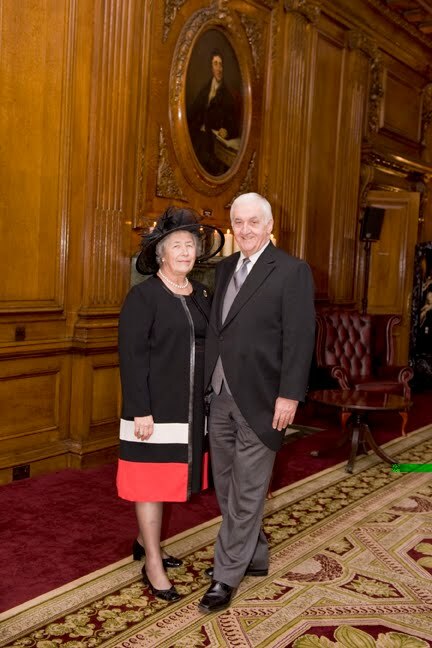 The 19 honoured guests were welcomed into our Council Room, which looked particularly stunning with its wood pannelled walls, fireplace, candles, crystal chandeliers and flowers. Chef really pushed the boat out with this menu! The star course of the night was the miniature Beef Wellington made with Kobe beef. I must say, the morsel I was priviledged to taste in the kitchen was spectacular. Clearly a cow with a diet of sake, beer and corn with the the odd massage thrown in works wonders for the taste and tenderness, if you can afford it! Shelley worked with Mrs Oakervee on theming ideas to tie in with Douglas’s long association with Hong Kong. Singapore orchids were specially arranged, oriental fans flown in all the way from Hong Kong featuring Herons (longevity) and dragons (Mr and Mrs Oakervee’s were both born in the year of the dragon) and an oriental gong was used to announce dinner. Chef wheeled in the cake with much ceremony accompanied by Chinese flaming candles while guests merrily sang happy birthday. All in all, another successful event at OGGS, but certainly one I will remember for some time. Only two more days to go before I break up for Christmas, looking forward to the break. Very merry Christmas and Happy New year to all!